A smile makeover uses several cosmetic dentistry procedures to dramatically improve the appearance of your smile. 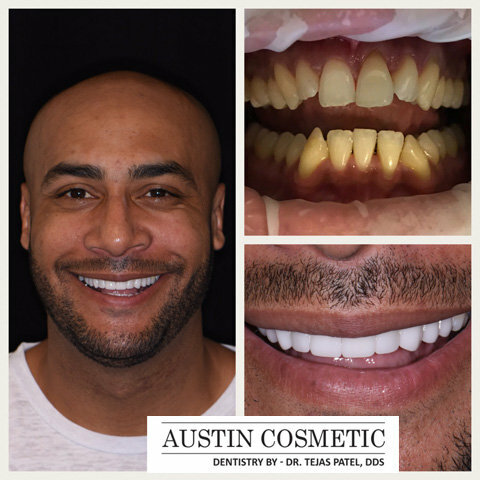 Teeth whitening, porcelain veneers, dental bonding and tooth implants are examples of procedures that may be performed during a smile makeover. Although a smile makeover can be referred to as a full mouth reconstruction, a pivotal difference exists between the two terms. 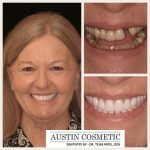 A full mouth reconstruction is performed on patients who require the procedure, while it is up to the patient’s discretion to choose a smile makeover. If a patient presents with a misaligned bite that causes a tremendous amount of pain, they would require a full mouth reconstruction to alleviate the pain. If a misaligned bite does not cause pain and the patient is only concerned about improving the aesthetic appearance of his or her smile, they can elect to have a smile makeover. One of the most exciting innovations in modern cosmetic dentistry, dental implants are often an ideal method for replacing individual missing teeth. 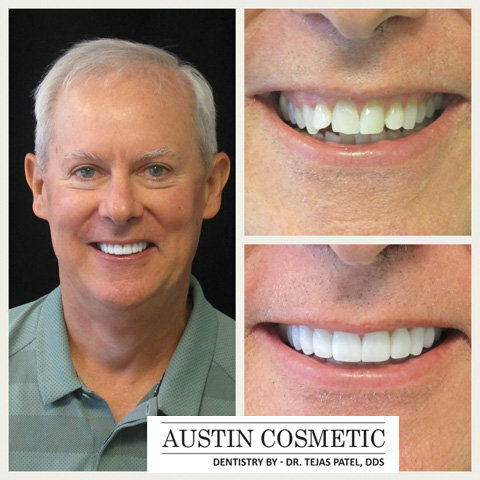 Aside from the benefit of filling in gaps in a smile, dental implants are comfortable and extremely durable. 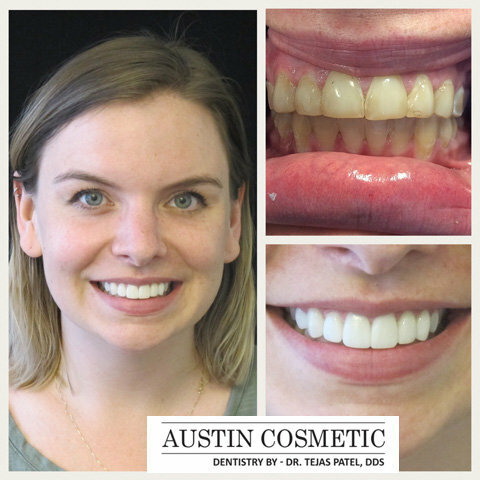 For more information on the dental implant process, or to find out if you are a suitable candidate, please read the page about dental implants or contact the office of Dr. Tejas Patel.. 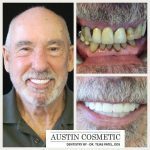 It may be that you are hiding your smile because you don’t want anyone to see your missing teeth, and dentures are just not an option for you. 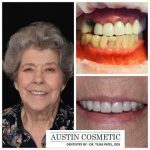 If you are missing any teeth and you want to be able to smile again, there is excellent news for you. 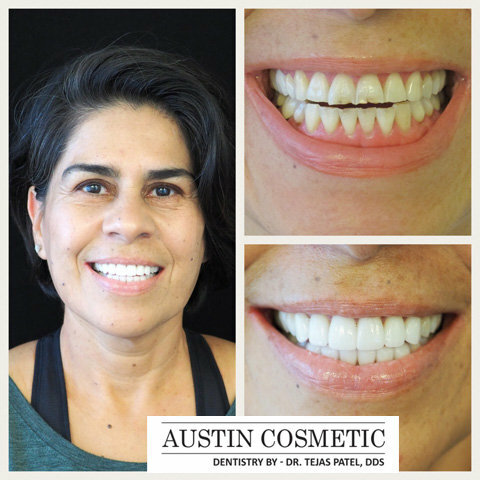 Dr Patel will help you have teeth that look and feel just like your own. When given the proper maintenance, you will have implants that will last a lifetime. 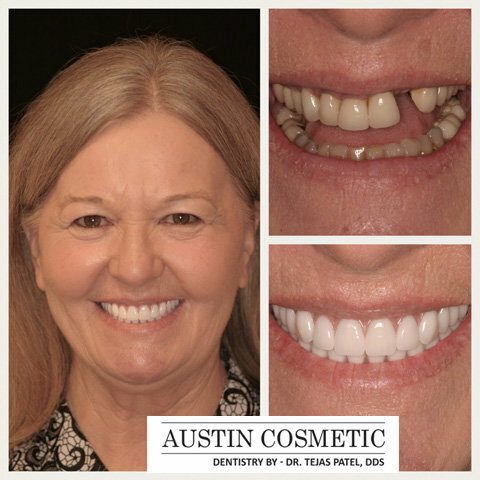 Dental implants can help replace one or more teeth without causing any problems with your surrounding teeth. They will also help to support a bridge to prevent the need for partial dentures. Implants also give your dentures support to make them more comfortable. 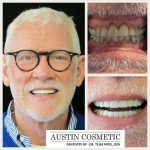 What are Advantages of a Dental Implant Over a Bridge? 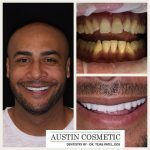 Esthetic – They will look and feel just like your real teeth without you having to worry about any bone loss or gum recession. No one will be able to tell the difference between your real teeth. 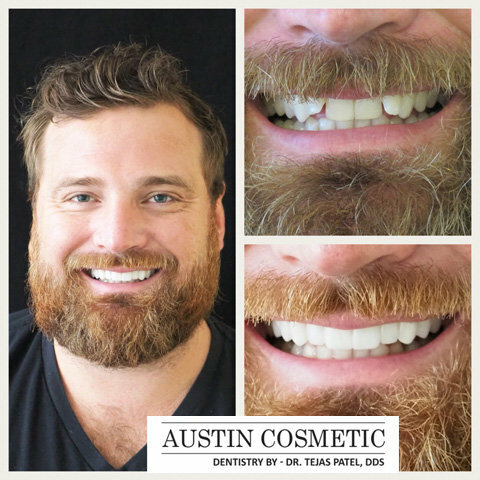 Tooth-saving – Since none of your other teeth are touched for the implants, you will have more long-term benefits for your oral health. Confidence – The implant will be secure enough to give you the freedom to be able to smile and speak freely. Reliable – They are one of the best options for replacing your teeth. For patients who would like to correct teeth that are crooked, chipped, stained, or otherwise less than perfect, porcelain veneers might be the answer. 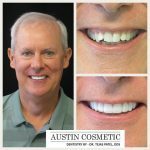 Porcelain veneers are custom-made for each individual tooth, are durable, and are fairly easy to apply. Options for cosmetic dentistry in Austin also include dental veneers. 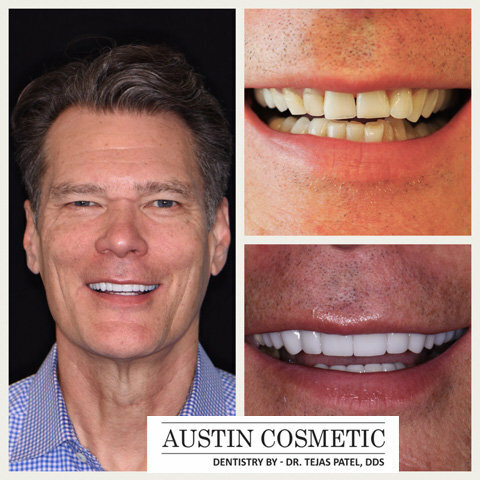 This procedure is also referred to as dental porcelain laminates or porcelain veneers and involves the application of a shell composed of tooth-colored materials that are placed over the surface of teeth. 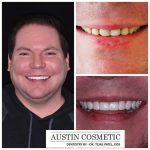 The veneers are shaped to custom-fit your teeth and are designed to alter the cosmetic appearance of teeth. A tooth-colored composite resin or porcelain are the most common materials for dental veneers. In comparison to a composite material, porcelain veneers more closely resemble natural teeth and are less likely to accumulate stains. Since veneers made from a composite resin are slimmer than porcelain veneers, the dentist is able to preserve more of your natural teeth. 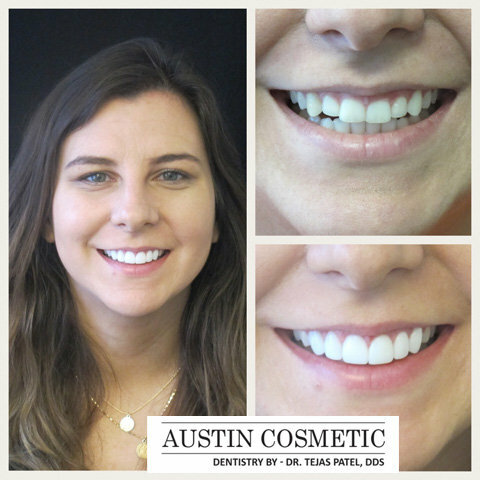 For assistance deciding which material will work best for you, consult your Austin cosmetic dentist. 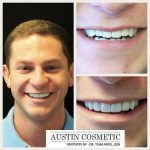 Your smile can also be instantly restored with a cosmetic dentistry procedure known as dental bonding. 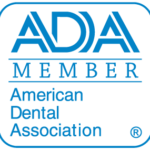 With this procedure, dental materials composed of tooth-colored composites are applied to the surface of teeth, which are then permanently attached through the use of a high-intensity light. In comparison to other procedures in the field of cosmetic dentistry, teeth whitening is the most frequently performed procedure. 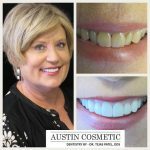 Most whitening treatments are relatively inexpensive and are not time-consuming, allowing you to achieve a whiter and more magnificent smile in a short amount of time. 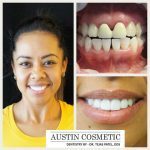 There is a key difference between teeth bleaching and teeth whitening. Teeth whitening has a brightening effect on your smile as the accumulation of surface stains from various beverages and foods are removed. This includes stains from tea, coffee, berries and wine. Through teeth whitening, teeth are restored to their original and natural color. 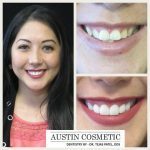 Teeth bleaching is performed to achieve a whitening effect that exceeds the natural color of teeth. This is accomplished as the peroxide compound reaches deep into the dentin, or the inside of teeth, enhancing the natural whiteness of teeth. Most people can name at least one thing they’d like to change about their teeth. Perhaps they are crooked, chipped, or stained. In many cases, these individuals can achieve the results they desire through cosmetic dentistry options such as teeth whitening or porcelain veneers. 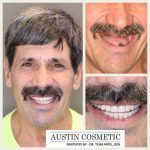 Austin, TX cosmetic dentist Tejas Patel also offers dental bonding and dentures, in addition to a full range of restorative dentistry options. 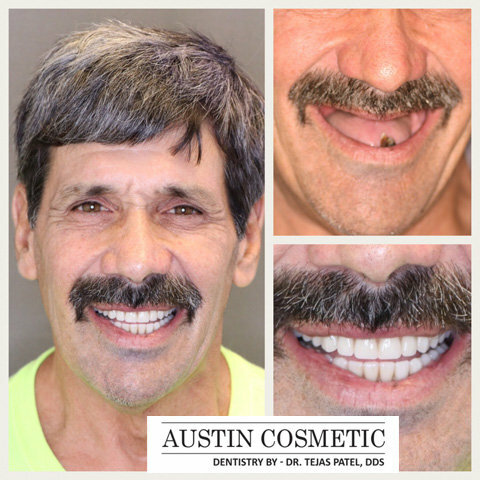 Dr. Patel has years of professional and artistic experience, allowing him to provide his patients with dental services that are perfectly tailored to their individual needs and goals. 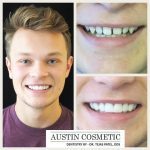 For more information about these and other treatments, please continue reading or contact Austin Cosmetic Dentistry today. 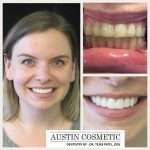 Like what the term suggests, an Extreme Makeover will completely transform the appearance of your smile and will enhance the function and health of your mouth. This means that, at the end of the treatment, you can look forward to having healthy-looking gums and teeth, and an improved smile and bite. 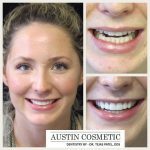 At Austin Cosmetic Dentistry we understand that every patient is unique and therefore so is every mouth. With this in mind, we have designed a customized treatment plan to ensure that special needs of each individual are addressed. 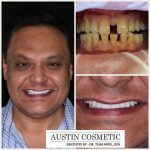 During your initial consultation, Dr Patel will discuss all the elements of your Extreme Makeover treatment with you. He will be happy to discuss the benefits or advantages of the treatment, the risks involved (if any), and separate unrealistic expectations from those that are attainable. 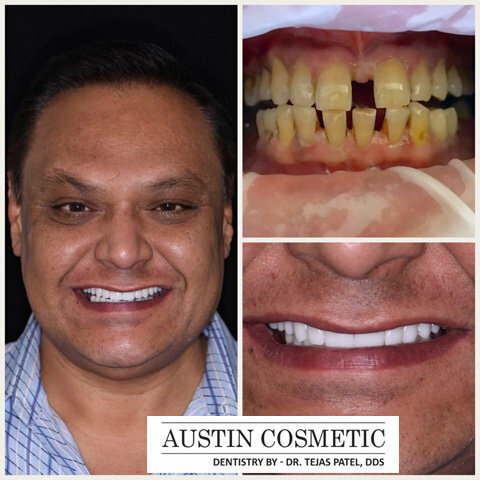 We are happy to report that most of the patients who have had their initial consultation with Dr. Patel have decided right there and then to proceed with the Extreme Makeover treatment after understanding what it entails. 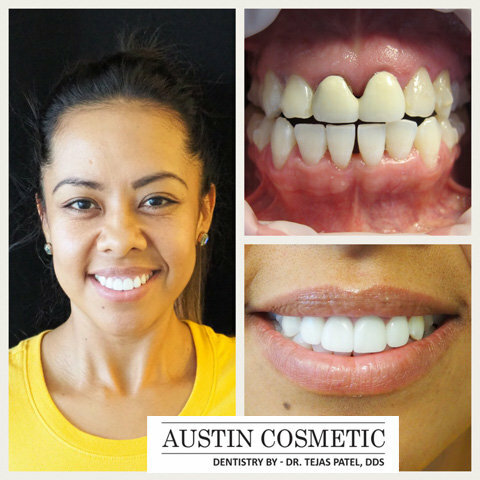 Cosmetic Dentistry is the ultimate blend of art and dental science. It encompasses a vast range of dental treatments which we are able to offer at Austin Cosmetic including Extreme Makeovers, Tooth Whitening, Crowns and Bridges,and Porcelain Veneers. 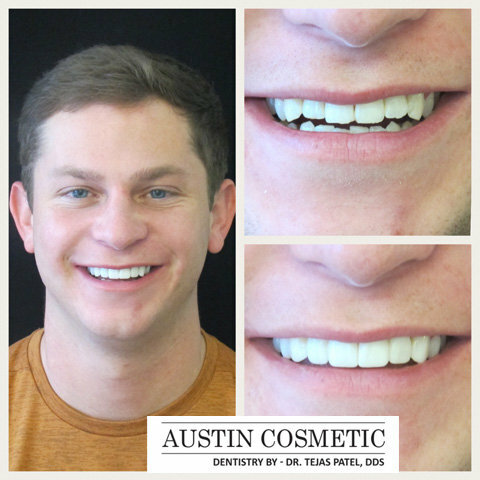 Contact Us and get your perfect smile today! 1.1 What are Advantages of a Dental Implant Over a Bridge?